The Ecig Review Site commissioned a UK cross-sectional survey consisting of completing a questionnaire about vaping. We asked 2000 adults over 18 eleven questions on the topic. 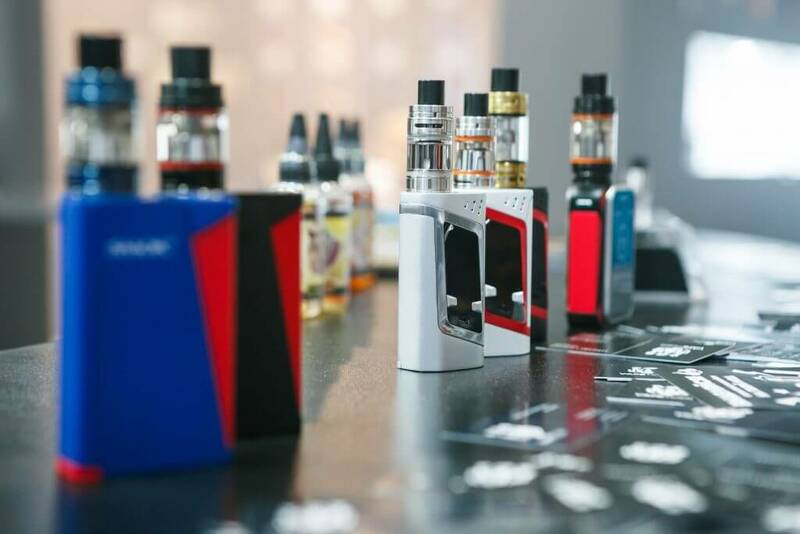 The research from the 2000 adults respondents aimed to find out what their opinions are on electronic cigarettes and vaping. The survey also attempts to find out specifically how users should be treated in the workplace and in public. Finally, the survey looked at opinions on the influence of electronic cigarettes on children. 1. How many of our 2000 participants smoked? The results showed that 45.6% don’t smoke as well as 18.1% of participants who have smoked in the past and quit. Of the 45.6% smokers, 22.1% smoke cigarettes and 7.2% smoke electronic cigarettes. The remaining 16.3% is made up of pipe, cigar and people who would rather not divulge the information. 2. Did participants think that electronic cigarettes were an effective method to help people quit smoking? 60.2% thought this was the case where as 39.7% thought it couldn’t help. This is evidently something that needs to be addressed as the NHS’s have stated that e-cigarettes are helpful for people looking to quit. 3. Should vapers be allowed extra breaks at work? This question resulted in the largest difference of opinion. Over 1520 of the 2000 participants, 76.2% said that they should not be allowed additional vaping breaks whereas 23.7% of participants said they should. This is despite the PHE suggesting that vapers need more breaks than smokers. 4. Should vapers be given a special area away from tobacco smokers to vape? 44.2% of participants agreed with the PHE whereas 55.7% don’t think that they should be separated. The overall reaction was negative with 73.6% of participants saying no to this question. Only 26.3% agreed that this could be possible. 6. Should e-cigarettes be allowed on public transport? 73.3% said no and only 26.6% said yes. 7. Did the participants think that e-cigarettes were a gateway to smoking cigarettes or tobacco? 54.6% thought that they weren’t leaving 45.3% who believed they were. This goes against the official line by the PHE who suggest that almost all electronic cigarette users were ex-smokers. 8. Participants were asked if smokers are annoying? The survey discovered that 59.9% of participants would find a colleague smoking an e-cigarette next to them at work annoying. 34.6% wouldn’t. 9. Should vaping be classified as smoking? Interestingly and or worryingly, the survey shows the majority believed vaping should be classified as smoking with 61% of the respondents agreeing while 39% of the respondents said vaping should not be classified as smoking. 10. Could vaping encourage youths to smoke? One of the more controversial and sensitive questions in the survey. Our e cigarette survey found that 65.3% of participants thought that an adult smoking an e-cigarette could encourage a child to smoke. 34.6% disagreed with this however. 11. Could vaping discourage children to smoke? We felt this question appropriate in order to test question 9 above, the result should reflect question 9 if participants were congruent, and they certainly were! Our survey found that 35.1% of participants believed that an adult using an e-cigarette could discourage children from smoking tobacco. 64.8% disagreed.